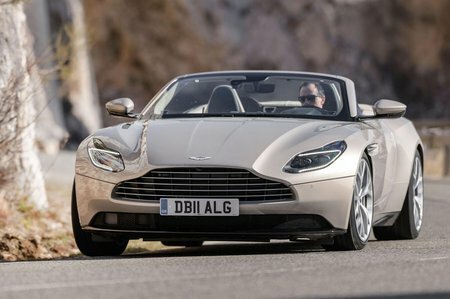 Aston Martin DB11 V8 Review and Deals 2019 | What Car? All the luxuries you’d hope and expect at this sort of money. These include 20in alloy wheels, switchable dampers, heated and electrically adjustable leather seats, dual-zone climate control, double-glazed side windows, keyless entry and start, cruise control, front and rear parking sensors, a 360deg parking camera, a DAB radio, sat-nav, an 8.0in touchscreen and LED headlights.